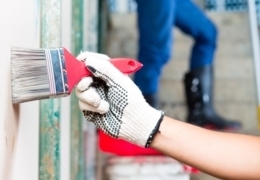 This professional painting company knows how to take the hassle out of any of your interior and exterior painting projects. Bignold assigns a project manager to each location to keep your home reno on time, on budget and to ensure a stress-free experience. Receive free paint test strips so you can evaluate colour choices and see what works on your walls. Free estimates, guaranteed prices and a three-year warranty ensure a quality job every time.